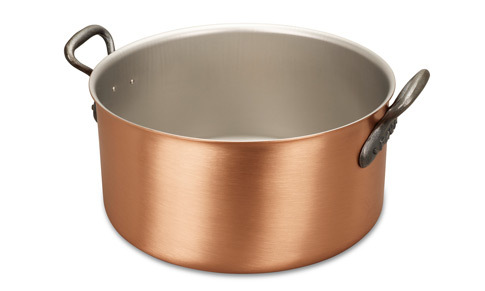 We know you'll love this	28cm copper cauldron	as much as we do. Right Size The perfect vessel for bulk cooking of soups in the Aga slow oven, very even heat distribution. fabulous pan I make a great deal of homemade soups and stocks, and this pan, is absolutely fabulous for this job. 905 customers found this review helpful. Did you? Yes, I did!